Officially, no reason has been given as to why Marvel/Disney decided to end things and revoke the license for the game. 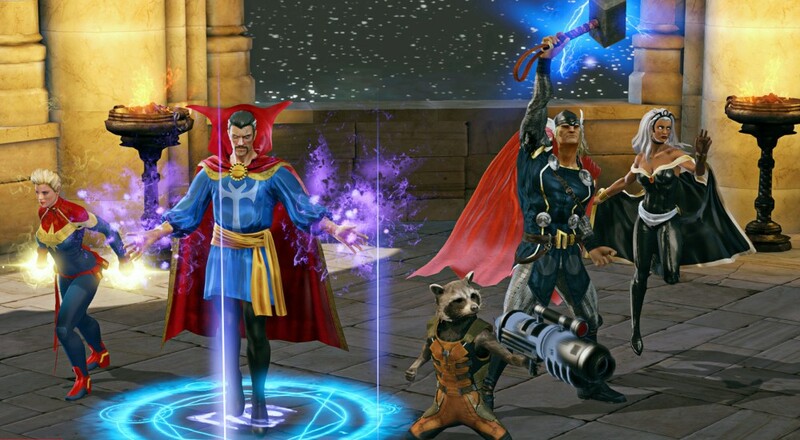 In the email to Kotaku, the Marvel representative merely stated "We regret to inform our Marvel Heroes fans that we have ended our relationship with Gazillion Entertainment, and that the Marvel Heroes games will be shut down." Later in the day, an official post was made on the game's forums stating that the final day would be December 31, 2017, and that they would be "...removing real money purchases as soon as possible. Players will be able to play the game entirely for free once this sunset period commences." There's been no statement thus far as to what will happen to Gazillion itself. Early this morning, Gazillion posted to the game's PC forums that players would be given 1000 Gs (the premium currency) daily and the cost for everything would be reduced to 50 Gs. Over on the console side, they said that everything is reduced to be either 1 G or 1 Eternity Splinter (the earnable in-game currency). It sounds like this is the best solution they could come up with to make things as free as possible without pushing through a major update that, presumably, would require more development work than they are currently capable of providing. While it's good news for anyone interested in checking the game out before it's gone forever, it's little consolation for the players that spent a lot of time and money on it. Unofficially, there are some reports by former Gazillion employees of inappropriate conduct by the current CEO. Gazillion officially commented on this last month. That said, there are those within the Marvel Heroes community that speculate the loss of the IP may be tied to these allegations, as it would not be outrageous for a company like Disney to want to distance itself and its properties from such a situation. Hopefully, more information will be revealed over the coming weeks. For now, we feel for any developers/artists that may have been affected by this, and hope they are getting the support they need. Page created in 0.4788 seconds.